A fatal accident occurred on a highway off-ramp on Interstate 95 killing a 17-year-old boy and sending four passengers to the hospital. The single-car wreck occurred on the I-95 northbound off-ramp at State Road 84, according to the Miami Herald. The car, which was reportedly stolen, was traveling at a high rate of speed when the driver failed to make the turn off the ramp in time causing it to crash into a concrete barrier. If you, or a family member, was hurt in a car accident as a passenger, you have the ability to pursue a claim for financial restitution of your harms and losses. 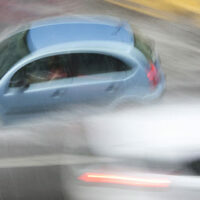 You have the same rights as an injured driver when pursuing a personal injury claim. Also, obtaining financial compensation for an injured passenger is somewhat easier since the issue of comparative negligence is not relevant. When it comes to a passenger injury claim, you should file the claim with the auto insurance policy of the driver or owner of the vehicle you were riding in at the time of the collision. It is possible you will need to file multiple claims, especially if the driver or owner of the vehicle was carrying a bare-bones auto insurance policy or they had no insurance at all. If you find yourself in this situation, you can pursue compensation through the uninsured or underinsured motorist coverage in your own auto insurance policy. For example, if you were hurt in a car crash and incurred $75,000 in medical bills. The driver or owner of the car you were in only has $25,000 of liability coverage under their policy. This means the insurance company is only on the hook for $25,000. You will have to look elsewhere to recover for the remaining $50,000. This is the scenario where you can file a claim through your underinsured motorist coverage. Of course, the amount you could reasonably expect to recover will depend on the amount of coverage you have under your policy, if any. In Florida, uninsured and underinsured motorist coverage is optional so there is a chance you may not have any additional coverage. An issue to be cognizant of is when the injured passenger is related to, and lives with, the owner or driver of the vehicle involved in the collision. If you are in the situation, you will probably be unable to file a claim against that driver’s liability insurance policy because you would be covered under the driver’s policy. In effect, you would simply be filing a claim under your own insurance policy. However, if you are simply related to the driver or owner, but do not live with them (e.g., a cousin, step-sibling, etc. ), then you would still have a viable personal injury claim. Individuals and their loved ones who suffer serious injured in automobile collisions are often concerned with large medical expenses, lengthy treatment, sudden loss of income, insurance issues and property damage. Alan Goldfarb, P.A. is here to help in Miami. Contact our office to schedule a free case review.